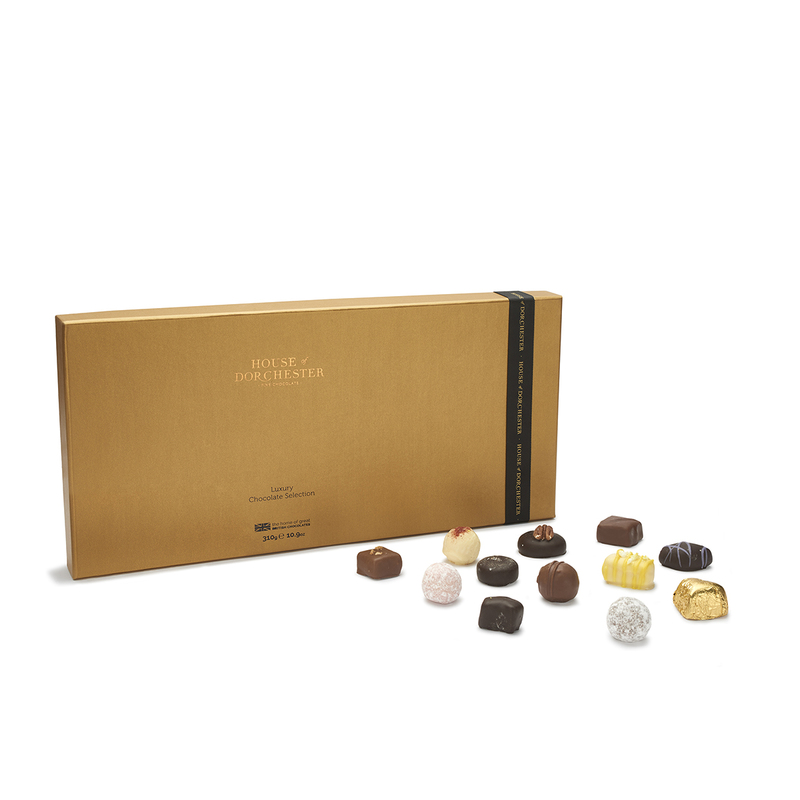 A selection of indulgent assortments of decadent centres wrapped in our delicious milk, 70% dark and white British chocolate. 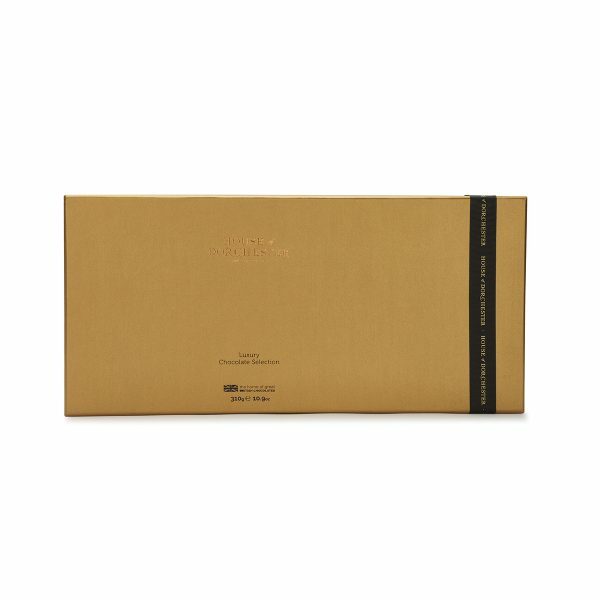 Presented in a premium, stylish box and finished with a printed ribbon. Sugar, cocoa mass, cocoa butter, whole milk powder, palm oil, glucose syrup (contains sulphites), stem ginger, skimmed milk powder, cream (from milk), partially inverted refiners syrup, hazelnuts, sweetened condensed milk, milk sugar, pecan nut, fat reduced cocoa powder, icing sugar, butter (from milk), sweetened condensed skimmed milk, emulsifiers (soya lecithin, mono and diglycerides of fatty acids, sunflower lecithin), whey powder (from milk), Marc de Champagne, shea fat, natural flavourings, coconut oil, concentrated whey (from milk), apple extract, rapeseed oil, Anglesey sea salt (PDO), raspberry puree, freeze dried strawberry powder, salt, milk fat, colours (beetroot red, curcumin, titanium dioxide), flavourings, acidity regulator (citric acid), coffee powder, spirulina extract, invert sugar syrup, stabiliser (pectin), invertase, dried egg white, wheat starch. Contains: milk, sulphites, nuts, soya, egg, wheat.